Your private driver will bring you an agriturismo in Tuscany situated between Florence and Siena where your family will gain first-hand insight into Italian food culture, an important experience since culinary traditions are sacred to Italian families. 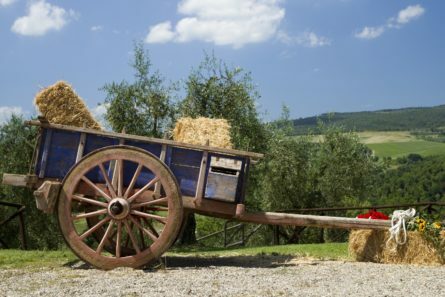 During this Tuscany family day trip at the family-run farm youwill get to try traditional cheese-making by hand after watching a demonstration of the process. Taste olive oils and delicious Sardinian sheep cheeses like ricotta, pecorino and blue, which the estate has been producing by hand for more than 30 years. Parents may opt to pair a tasting of some of the estate’s wines with the cheeses. Enjoy a stroll around the grounds and perhaps purchase some wine, olive oil and cheese to take home! After an authentic Tuscan lunch made with farm-fresh ingredients, your driver will bring you back to your accommodation.